Agra based best IT Company Adysoft provides pathology labs the flexible information module that is specifically used to disseminate and record the data corresponding to all the test performed in the laboratory. It facilitates users by providing the functionality of receiving online requests from doctors and also allows laboratory personnel to create requests. Pathology lab software is especially incorporated to centralize entire database and modules of hospitals, clinics, & medical laboratories in a single unified interface. Information related to pre­booking, online receipt of request, billing of tests, reports delivery and many more can be easily accessed and aintained through this system. Our Pathology lab software supportive in maintaining records of all tests performed under the disciplines of Cytology, Hematology, Biochemistry, Serology and Neurology. Before or after the examination, lab personnels can save the data related to patient’s problem along with sample number which can be further accessed by anyone have authority of using the software. Advantage of using this lab management software or best pathology lab reporting software is that billing of all types, report generation and printing is possible within few seconds having no chances of flaws or errors. Apart from this, offered software helps all medical institutions in monitoring their revenues for better administrative perspectives. Suitable for all sized diagnostic centre, pathology labs & hospitals, the software got high admiration from trusted doctors and experienced lab technicians due to its easy availability and affordability. Call +91 9719991111 or request a free quote now for pathology lab management software India, lab management software India, best pathology lab reporting software for laboratories in India.. Pathology Reporting System manages patient record in Pathology Laboratory. our Pathology Lab software allows you to enter patient test values and give test reports to the patients. Small-scale accounting could also be maintained in which the billing of patient and the commission of doctor is automatically calculated. Pathology Lab software fulfills nearly all needs and requirement of a small to big pathology. There is no limit of storage of data in software as it can use the maximum hard disk space. Pathology Lab software maintains patient record as well as their test records. This software provides various types of Master List Like Test Group Information, Reference Doctor List, Test rate list and many more. pathology Lab software provides various selection criteria for searching of patient record such as Patient name wise query, Test date wise query, and Reference doctor wise query. The user itself could develop customized reports in the software. Bill of the patient could be prepared with in the software. Doctor's commission is automatically calculated on the patient bill. Security in software is maintained at every required point. The user could take backup of the database. Deletion of patient record could be done with date range or the patient code range. 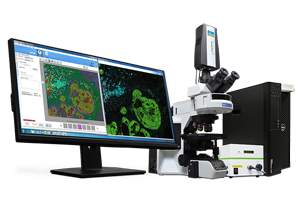 Interested to get a Free Demo of Pathology Software. Call us +91 9719991111 or click on YES I WANT DEMO. Adysoft is commited to providing you best software solution for your Pathology Labs. Which gives facility of Reporting, Billing, Accounting, Reagent Management & Interfacing.